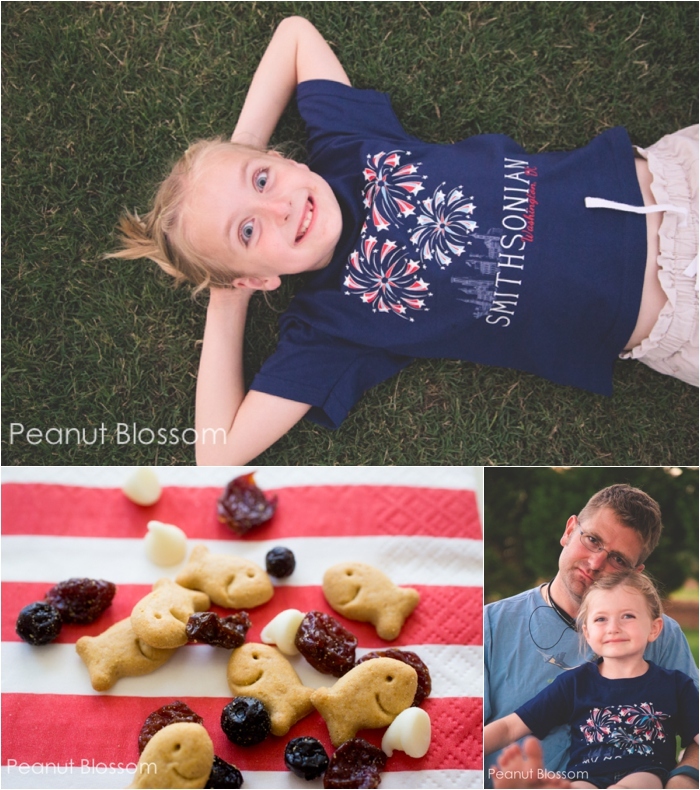 Over the last few years, our family has stumbled onto the simplest traditions for celebrating Independence Day. I love how low-key our approach is: good music, good company, lots of red white and blue party snacks, and handfuls of sparklers. 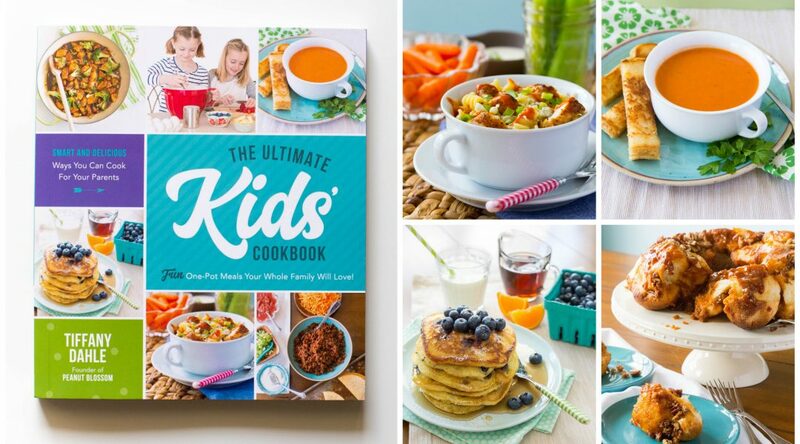 I thought it would be fun to kick off summer by sharing our simple ideas because they are appropriate for just about any potluck or back yard barbecue you may attend in the coming weeks. 1. Good music: Handyman Tim plays DJ and streams his favorite country tunes in the backyard. He cranks up his wireless speaker and the girls dance in the grass. Right before dinner, Grandma passes out small flags to the kids and he cranks the volume up for a marching band version of “The Star Spangled Banner” and the kids form an impromptu parade. They take turns leading the line back and forth through the yard. Priceless. 2. Good company: Though we’ve kept things quiet at home, we love to celebrate with our community. We’ve been trying out various hometown parades and nothing beats seeing the local firetrucks pass by and waving to the town mayor sitting up high in his chauffeured convertible! 3. Red white and blue party snacks: We take our color palette very seriously for our patriotic celebrations. 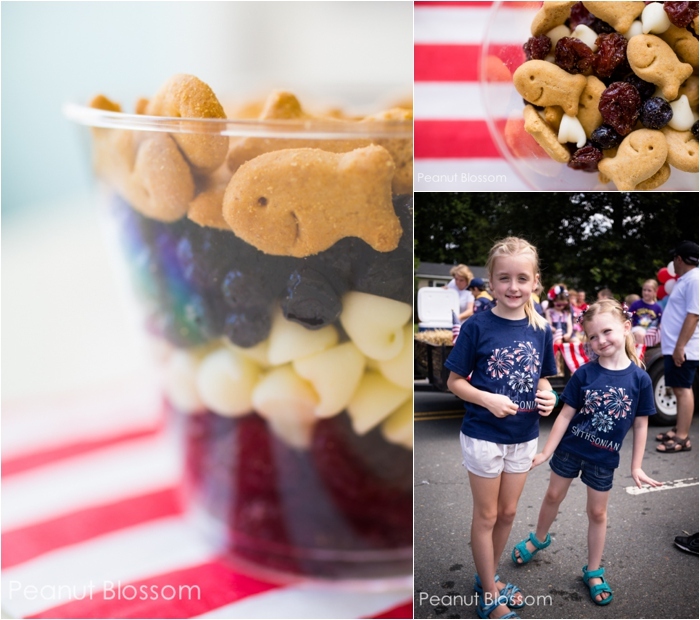 The perfectly portable treat that goes from parade to backyard party is our Red White and Blue Snack Mix with Goldfish crackers. 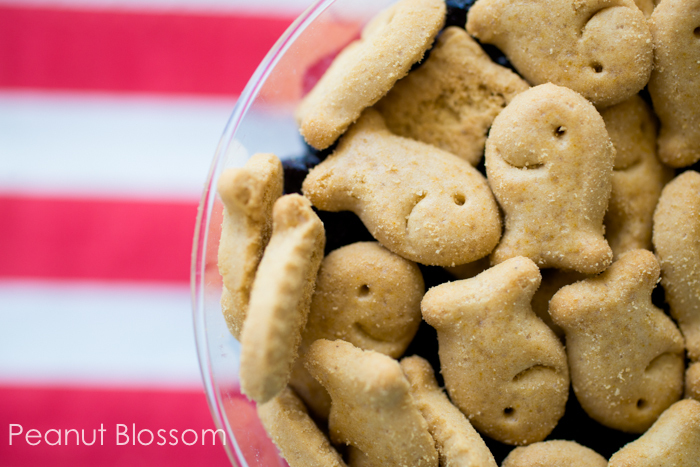 I tossed together the Goldfish Grahams with some dried cherries, dried blueberries, and a small scoop of white chocolate chips. It is just the right amount of sweet and crunchy and if the white chocolate chips get a little soft in the sunshine, you just simply have “chocolate coated” snack mix! Perfection. Wait for dusk, not complete darkness. When the sun is down but not completely gone you have a small window for capturing these. 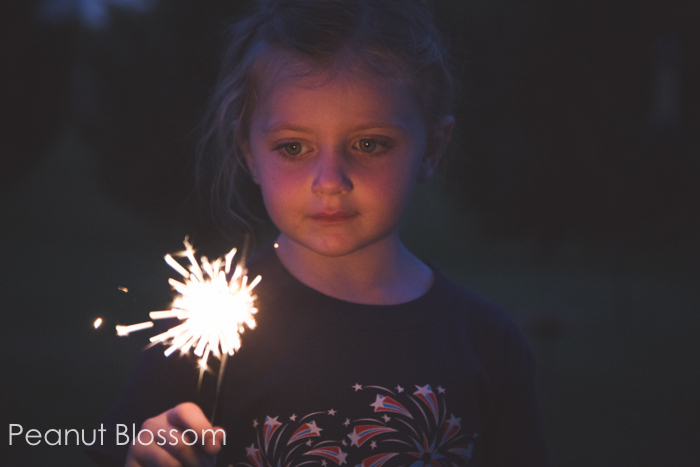 Expose for your child’s face: the sparklers provide a warm glow that illuminates their sweet faces. Slow your shutter speed way down: To capture the light trails, play with your shutter speed at the slowest setting you can manage. I counted down from 3 and had the girls make a slow shape in the air with their sparklers. This takes a steady hand or a tripod. I can’t wait to play with this idea again this summer! If you capture a photo of your own #GoldfishTales summer fun, you can enter to win a case of product each month and an awesome trip to the U.S. location of your choice. * For more information and to see the adorable submissions, be sure to visit GoldfishSmiles.com. *No purchase necessary. Sweepstakes ends 7/31/15. Must be resident of 50 US/DC, 18 & older. Void where prohibited. Limit one entry per email address/ day.